Shimla, is the capital city of the Indian state of Himachal Pradesh, located in northern India. 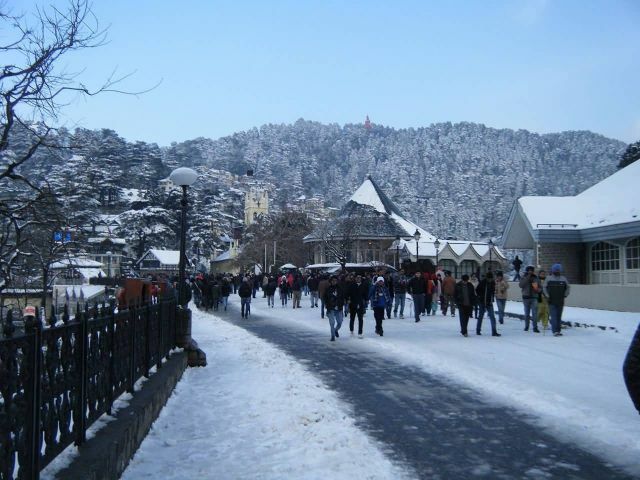 The climate in Shimla is predominantly cool during winters and moderately warm during summer. There are many places to see like, The mall, Jakhu Temple, Chadwick Falls, Jakhoo Hill, Christ Church, Lower Bazaar, Shimla Water Catchment Sanctuary, Hip Hip Hurray Amusement Park etc.